It's hard not to feel let down by the latest addition to the audio jack-hating smartphone manufacturer club, especially after OnePlus highlighted its commitment to the time-honored feature less than a year ago. The earphones will be launched alongside the company's next device - expected to be called the OnePlus 6T - in the coming quarter. 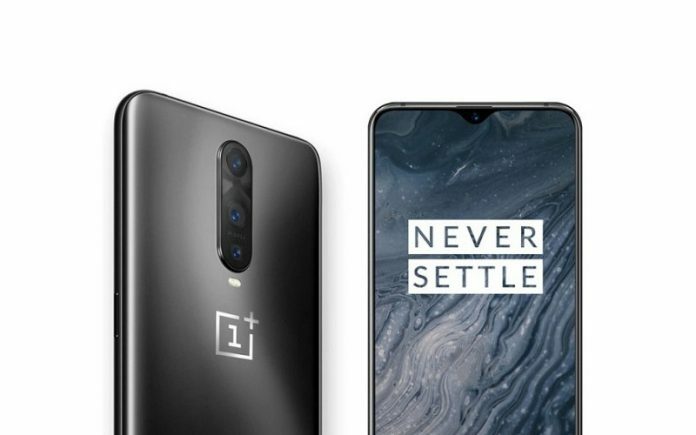 Now full specs of OnePlus 6T have surfaced online as the smartphone has been listed online on a shopping website, Giztop. Now, there is another OnePlus 6T leak on the block. The processor and graphics chips are set to the stay the same as its predecessor, with Qualcomm's Snapdragon 845 and Adreno 630. The 6 GB RAM variant has 64 GB of internal storage, whereas, the 8 GB RAM variant comes with 128 GB and 256 GB of internal storage. Also the phone will feature a vertically stacked triple rear configuration, that will be seen above the OnePlus logo. Thanks to a dedicated light sensor, the OnePlus 6T will apparently be capable of capturing more light in dark environments for superior low-light performance. On the front, the upcoming OnePlus flagship will have a 25MP lens of f/1.4 aperture. Since the OnePlus 6T will be powered by the exact same chipset as the OnePlus 6, we expect it to be identical to its predecessor in the connectivity department. OnePlus is today announcing its new USB Type-C Bullet earbuds. In the battery life department, the OnePlus 6T listing on Giztop suggests that it could be slightly better than its predecessor. Lastly, the listing also reveals that the 6T would come with dual SIM slots, Android Pie based OxygenOS, and, a 3500 mAh battery with support for VOOC Fast Charging. But even in OnePlus's leaky universe, a pre-order listing going up for the phone, including price and release date, is rather unusual. The exact variant, however, has not been listed. The listing says the OnePlus 6T will be priced at $569, available (whether for pre-orders or for live sales isn't clear) on October 16th, and look exactly like what we've seen in all the leaks.